With the opening track on The Dead Texan (46'37"), the self titled album by Adam Wiltzie, we find a piano dreaming, slowly breathing music in and out, aspiring, in its respiratory nocturne, to reach beyond its limits. Wiltzie has realized an album that is dream-like in the truest sense; scenes repeat, anomalous figures arise, continuity adjusts, time compresses and expands as brief moments seem to extend towards infinity. Though it is subdued, beneath the shroud of reverb within which this work hovers, there is a luster and magnificence. The sounds of piano, strings and guitar are manipulated, malformed enough to keep the beholder engaged but recognizable enough to provide the comfort of familiarity. Adding ethereal ooohs and ahhhs, movie dialogue and whispered layered lyrics, this album takes the Ambient Music form into areas more well established artists cannot. Piano notes and chords count out the mood swing between comfort and uncertainty. An acoustic guitar strums before a vast landscape. Reverberant electric piano chords references works of noir. The music is vulnerable without being sentimental. 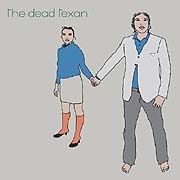 Too cerebral to be considered new age, too gritty to be classical and too engaging to be avant-garde, The Dead Texan provides the listener with a captivating, restoring listening experience of cool dreamy distressed textures from the edge of nowhere.